How Many Beads In The Jar Competition! Fill out the form below to enter, we will contact the winner just before Christmas - good luck! 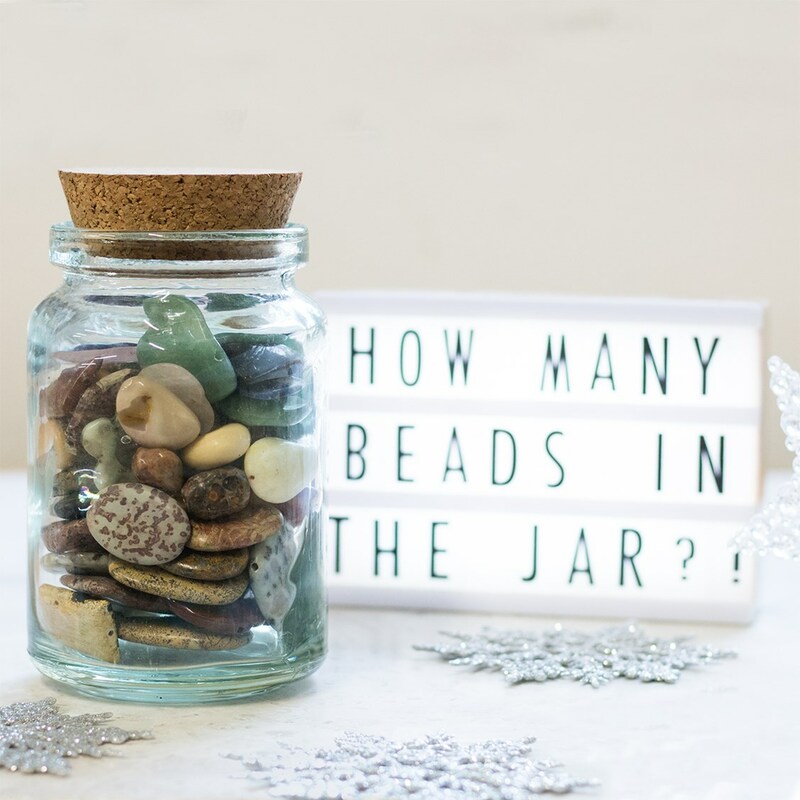 Competition question: How many beads do you think are in the jar? Congratulations Jane Orme for guessing the correct amount of beads in the jar - 74 if you were wondering! Entrants must fill out the competition form on this page along with their guess of how many beads are in the jar. The entrant with the closest guess will win the prize, if more than one entrant guesses the correct amount, a winner will be chosen at random from those with the correct guesses. Entrants to this prize draw must be aged 18 or over and is open worldwide. This competition closes at midnight on 14th December 2018. This competition is free to enter and no prize alternative will be given. Kernowcraft will contact the winner through email. If the winner does not respond within 2 days, another winner will be selected. This promotion is in no way sponsored, endorsed or administered by, or associated with any social media platforms.